Plastic surgery and injectable enhancements are not just for women! 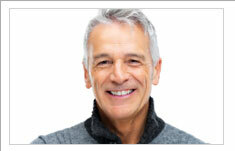 Cosmetic procedures are having increasing popularity with men. The American Society for Aesthetic Plastic Surgery (ASAPS) recent statistics showed a 121% increase in cosmetic surgery in men during the past 15 years. In addition, 9% of all cosmetic procedures in 2011 were on men. Men are wanting to look better, feel younger and project a more confident, youthful image, especially in today’s job market. Top procedures for men are liposuction, nose reshaping, eyelid surgery, removal of male breast tissue, and facelifts. More men are also having tummy tucks as well, after experiencing large weight loss from diet/exercise or bariatric surgery. Noninvasive procedures such as Botox/Dysport or injectable fillers (Juvederm/Restylane) have also skyrocketed in popularity. These are quick, easy procedures that can soften frown lines and deep smile lines. If you are considering aesthetic procedures, make sure you understand the procedure and any possible risks. Get as healthy and fit as possible, as it is important to have normal blood pressure, not smoke, and be off any blood thinners (for example, aspirin, motrin, advil, ibuprofen) prior to surgery.